A Parramatta junior, Bell made his first grade debut in 1989. 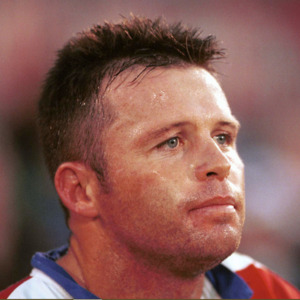 He played fifty three games for the Eels before transferring to North Sydney at the start of the 1993 season. However his time at the Bears was not a happy one and he only played one first grade game in the 1993 season. He rejuvenated his career by moving across the harbour to the Rabbitohs. Here he played 58 games in three years for the club, and was regarded as a senior player by the time he was 24. He formed a solid halves combination with Craig Field. His strong form at the Rabbitohs gave him the opportunity to return home to the Eels, and he went on to play another fifty three games for the club. In 1997 he won the club's Jack Boyle Tackling School Award, which is awarded to the club's best tackler each season. 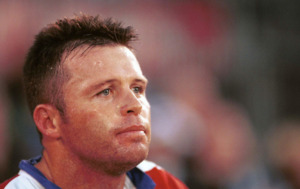 By 1999 however, he was struggling to make first grade and instead captained the Eels reserve grade team to a win in the NSWRL First Division Grand Final. He was not re-signed by the Eels for 2000 and instead he joined the Newtown Jets in the NSWRL First Division. The Jets had a feeder relationship with the Auckland Warriorsand mid-season injuries to Stacey Jones and John Simon saw him signed by the Warriors. He played eight games to finish off the season for the Warriors. At the end of the 2000 season the Warriors were sold and the new owners did not opt to re-sign Bell.